Oh but it is, Faith, it is. This is the first Wienerschnitzel product placement I’ve ever run across and the bumpin’ drop-top with hydraulics, juxtaposed against what I assure you is one of the lowest-rent fast food franchises in the known universe, borders on perverse yet undeniable art. Pinball games show up around 1:30. 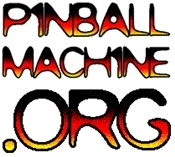 ← Pinball: Man vs Machine. CAT vs MAN vs MACHINE! !